Sophie Hoyle (b. 1986) currently lives and works in London, England. She graduated with a Postgraduate Diploma in Fine Art at Byam Shaw, Central Saint Martins (2010) and has a background in Human Geo­graphy (B.A., UCL 2009). Her current collage and installation work explores both a personal and formal response to the built land­scape, in terms of the affects of materiality and scale, and to contemporary city living which is often ex­perienced as fragmented, distorted and estranged. Sophie has been actively involved with a range of or­ ganisations that approach the city and debate its is­ sues alongside her artistic practice (TINAG, Art& Architecture, Archway In­vestigations and Response) by giving talks and organising lectures. 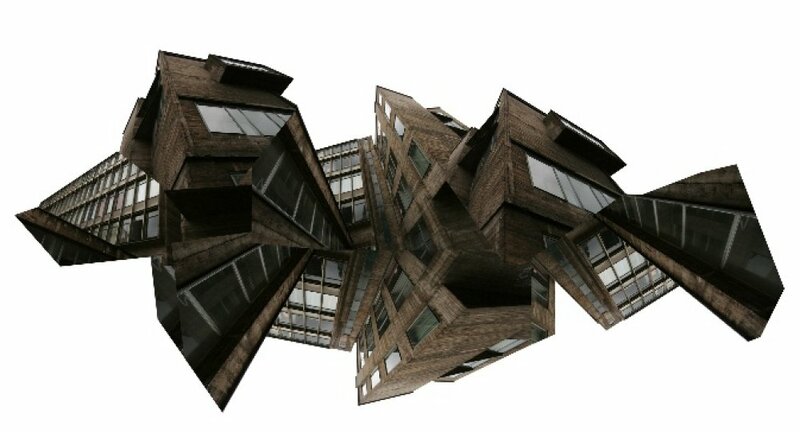 And she also teaches a course with Diego Ferrari on Photography, Art and Architecture at Cen­tral Saint Martins, London.